We design and offer leadership development programs and workshops for professionals dedicated to creating a socially resilient and environmentally sustainable future. We do this because we believe transformative leadership can help people navigate the challenging interconnections between social, environmental, and economic issues. We often tailor our services to meet the specific needs of our clients through a creative and collaborative design process. We welcome you to contact us and initiate a conversation. Mike is passionate about creating more resilient organizations – particularly during times of uncertainty. He is most interested in helping organizations generate solutions that are environmentally, socially and economically sustainable. 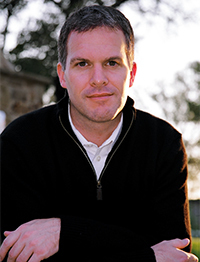 While Mike once practiced environmental law, he left his traditional legal work to lead processes that resolve disputes through collaboration. 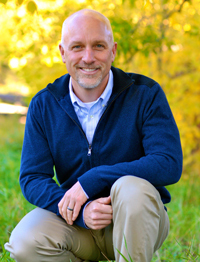 For over ten years, Mike worked with the University of Montana, College of Forestry & Conservation to design, implement and facilitate a leadership development program for the United States Forest Service (USFS). 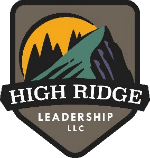 In September 2014, Mike formed High Ridge Leadership, LLC and is continuing his work with the USFS while engaging with new clients. Mike has led numerous workshops and sessions that offer participants the opportunity for deep self-reflection, focused on discovering one’s own leadership potential while breaking through self-imposed barriers. His primary emphasis is the field of emotional intelligence and the intersection of emotion, change, and resilience. Mike’s philosophy is that personal leadership transformation involves moving toward a mind of empowerment, engagement, and humility. 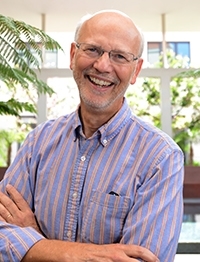 His curiosity (first documented in his dissertation, “Modeling Sustainability through Collaboratively Organizing”) has inspired him to focus on social dynamics within successful teams and organizations – especially when there is little or no positional authority involved. Mike holds a M.S. in Resource Conservation, a J.D. with emphasis on Environmental and Indian Law, and a Ph.D. in Sustainability Education. He is certified in: Myers-Briggs Type Indicator (MBTI), EQ-i 2.0, EQ Map, and is a member of the International Leadership Association. Mike lives in Flagstaff, AZ, along with his wife/partner Raquel, and two step-children, Aspen and Carson. He is an avid trail runner and skier. Raquel is a self-described “leadership nerd” who likes observing how leadership emerges in all walks of life (including TV competition shows!). Before joining High Ridge Leadership in 2015, she enjoyed a 22-year career in the federal government: 15 years as a Public Affairs Officer with the US Forest Service and seven years with the National Park Service (NPS) as a Leadership Development Specialist. While with the Forest Service, Raquel worked as a communication strategist and spokesperson on many high-profile, high-conflict issues. She found that the projects with effective leaders tended to have the most positive outcomes. She became intrigued and wanted to learn more about leadership and what she could do to help others hone their skills. So, in 2008 Raquel changed her career focus and joined the NPS as a Leadership Development Specialist. While working on her Master’s Degree in Organizational Leadership she designed a program for employees at Grand Canyon National Park. It quickly grew and was ultimately a national leadership development program that served NPS employees from throughout the country. Raquel was proud to receive two prestigious awards: one for “Excellence in Innovation” from the NPS Intermountain Regional Director, and one for “Visionary Leadership Development” from the National Parks Conservation Association. As Principal Consultant with High Ridge Leadership, Raquel is excited to continue her work helping people become better leaders and the teams they lead become more effective. Raquel’s education includes a Bachelor of Arts in Broadcast Communication from Eastern New Mexico University and a Master of Science in Organizational Leadership from Norwich University. She also holds certifications in: Myers-Briggs Type Indicator (MBTI), EQ-i 2.0, and is trained in the Interaction Method of meeting design and facilitation. Raquel is a member of the International Leadership Association, The Association for Talent Development, and The Society for Organizational Learning. Raquel lives in Flagstaff, AZ with her husband Mike and two children, Aspen and Carson. She loves running, hiking, skiing and cooking new recipes with ingredients from her garden. Dr. Blake Leath is the founder of Leath Group, LLC—a dynamic curriculum development and intellectual property greenhouse that grows leaders and shapes cultures. He is the author of more than 90 copyrighted organizational science solutions implemented in client organizations around the world. Blake has worked with clients as diverse as Adidas, AT&T, Bausch & Lomb, BHP Billiton, BNSF Railway, Capital One, Citigroup, Daimler, Ericsson, GE, Kodak, Libbey, Lockheed Martin, Los Alamos National Laboratory, Northwestern Mutual, Pfizer, Sony, and the US Departments of Agriculture, Defense, and Interior. Blake and Leath Group colleagues provide consulting & communication services and tools that transform leaders, cultures, and processes to achieve dramatic breakthroughs in strategy and performance. In more than two decades as an organizational strategist, Blake has instructed in excess of 13,000 participants across 41 states, and his content has been used by leaders in 27 countries. Leath Group has worked with more than 200,000 individuals, and well over 2,000,000 imprints have been made of the Group’s combined intellectual property. Blake’s primary interests include strategy, culture, leadership, change, effects of a four-generation workforce, systems thinking, M&A integration, trust & influence, and the process of acculturation. In 2007, Blake published his first mainstream book, Cultivating the Strategic Mind. The modest and very personal text consistently receives high praise from professional strategists embracing its approaches to reinforce more systemic strategic thinking. His anticipated follow-up, Management Malpractice, is forthcoming. Meanwhile, Blake and his colleagues research, write, design, deliver, facilitate, train, present, and film extensively, and most often in conjunction with long-term internal/external communication efforts designed to define and shape client cultures. Gleanings from the Group’s contributions to knowledge and best practices (including Blake’s Blog) can be seen at www.leathgroup.com. Lifelong learners are encouraged to visit the site to experience Leath Group’s work, download freebies, participate, and contribute to an organic community of dialogue. Follow @blakeleath on Twitter to engage in lighthearted musings, riffs, and puff-piece observations. Blake earned his bachelor’s degree in Management & Marketing, his master’s degree in Organizational Management, and his doctorate in Organizational Sociology. Since 1992, he has worked with practitioners in over 300 companies and numerous federal, state, and local agencies/departments/bureaus, as well as with individual researchers from leading universities, to understand and maximize employee involvement, success, longevity, and passion. Blake remains an Adjunct Faculty member at the Tandy Center for Executive Leadership in TCU’s Neeley School of Business. Blake, his beloved wife Dawn, and their precious daughter Lauren (along with their microscopic Cavalier King Charles Spaniel, Daisy) make their home in the very gently rolling hills of North Texas. For play, the Leaths enjoy traveling/exploring, reading, movie watching, attending concerts, plays, and musicals—and embarking on fun design projects of virtually any nature that get their creative juices flowing. Allison’s passion for leadership development started at a young age. From being the captain of two high school sports teams, to always listening and asking thoughtful questions of her friends and acquaintances, Allison has been leading and coaching people all her life. 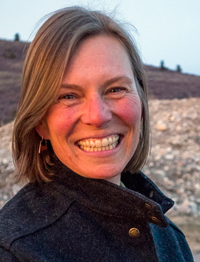 She started working for the National Outdoor Leadership School (NOLS) in 1994, which she credits with developing her personal leadership style and inspiring her adventurous spirit. Allison launched Leadership at Play in 2010 with her business partner, Kat Smithhammer, with the goal of sharing their passion for helping individuals and teams develop their leadership capacity. 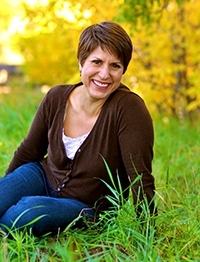 Examples of Allison’s work include teaching a communication class to a NASA astronaut crew in the canyons of Utah, to facilitating a leadership development and teambuilding experience for the United Nations Development Programme, to developing, implementing and managing an organizational wide mentoring program for the Prevention Management Organization of Wyoming. With an honest and direct communication style, an easy way of connecting with people, and a knack for asking the pertinent question or observing the relevant leadership behavior, Allison has a real talent for helping people and teams grow. She won the NOLS annual staff award in 2006 for her excellence in coaching and mentoring female instructors. Allison currently sits on the Board of Womentum, whose flagship program is a women’s mentoring program designed to effectuate meaningful social change for women. She lives in Wilson, WY, with her three dogs, and always finds the time for wilderness adventures with friends. Char contributes wit and wisdom as one of the nation’s foremost scholars on the U.S. environmental movement and its key leaders, among them Gifford Pinchot, founding chief of the U.S. Forest Service. 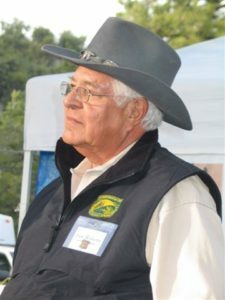 An award-winning teacher, Miller loves engaging with audiences large and small on key challenges facing communities, agencies, and organizations focused on enhancing public-lands management. Using the past to open up a conversation about our present dilemmas, all with an eye for how to build greater resilience in the future, his real ambition is to help identify an essential and vibrant geography of hope. This vital subject lies at the heart of his recent books, too, including Not So Golden State: Sustainability vs. the California Dream (2016), America’s Great National Forests, Wildernesses, and Grasslands (2016), and the forthcoming Gifford Pinchot: Selected Writings (2017). He is also author of Seeking the Greatest Good: The Conservation Legacy of Gifford Pinchot (2013), Death Valley National Park: A History (2013), and Public Lands/Public Debates: A Century of Controversy (2012). Earlier volumes include Ground Work: Conservation in American Culture (2007) and Gifford Pinchot and the Making of Modern Environmentalism (2004). In collaboration with photographer Tim Palmer, Miller’s America’s Great National Forests is a visual feast that will remind you how important these spectacular public lands are to the nation. Kat approaches life with curiosity, creativity and awe. Usually laughing (at times referred to as a katcophony) and smiling, she is passionately fascinated with the growth and development of individuals, teams and organizations. Kat has been teaching, facilitating, coaching and building highly effective teams in the office, the classroom and outdoors for over 20 years. She divides her time between the custom division of the National Outdoor Leadership School (NOLS Pro) as a Senior Account Manager and Expedition Leader, and her consulting business, Leadership at Play, LLC. For NOLS, she had led over 100 wilderness expeditions in N.A., Argentina, Chile and Australia. 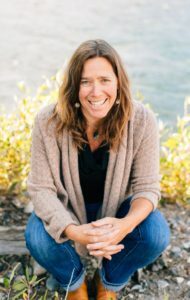 She teaches mountaineering, hiking, whitewater canoeing and backcountry skiing. Highlights include canyoneering with Shuttle Crew STS 122 during 100yr flood conditions and summiting Mt. Burney, Chile for the second time, 30 years after its first ascent. A few of Kat’s past clients include: NASA, Google, the United Nations Development Programme, the Wharton School, USFS, the Kellogg Graduate School of Management, Timbuk2, Four Season’s, National Park Service, and Tata Steel. Kat has a unique talent for inspiring people to be their best and concluding discussions positively, by offering insights, building common understanding and encouraging contributions from all team members. Kat is a firm believer in learning from practical experience and cultivating robust self-awareness. Kat has a M.A. in Leadership and Training (Royal Roads University), B.Ed. (Queen’s University) and a B.A. (Trent University). Kat lives in the Tetons with her husband, Bruce, and their two dogs, Luna and Hank. She is zealous about her backyard (Greater Yellowstone Area), endurance events (such as skiing across Yellowstone N.P. in a day) and playing outdoors as much as possible. 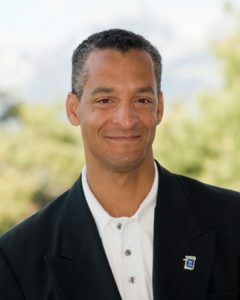 A consultant, trainer, and facilitator, Mark Metoyer conducts training courses and workshops for corporations, government agencies, associations, and universities. Mark has led numerous complex development programs within the Federal arena. These include emerging leaders, mid-level managers and senior executive leadership development curricula for the USDA, GSA, the Department of the Interior and Health and Human Services that incorporated Project Action Teams, various assessment tools, classroom and web-based instruction, cross cultural communication skill building, conflict management techniques, teambuilding, and other OPM Executive Core Qualification (ECQ) competencies. He has the proven ability to stay “in touch” with all levels of an organization and routinely receives outstanding evaluation scores from workshop participants. Mark brings more than 23 years of field experience to each engagement and leverages his expertise in adult training, motivating highly effective teams, human resources training, organizational assessments, telework management, confidential investigations, training management, and strategic planning. His topical specialties include leadership, diversity management, emotional intelligence, communications, organizational development, interpersonal relations, and negotiation. Mark is a retired U.S. Coast Guard officer whose service specialty was training and development. His distinguished career included assignments throughout the United States and abroad. He was selected as a coordinator and facilitator for the Presidential initiative on race relations, One America. Mark holds academic degrees from Southern Illinois University and Webster University. Mark serves on the Board of Directors for Daily Bread, Inc. of Brevard County FL. In addition, he was a practicing supervisor, manager, and executive for more than 20 years in government and private industry. Certifications include Cultural Intelligence facilitator, conflict resolution mediator, Equal Employment Opportunity counselor, Total Quality Management (TQM) facilitator, and situational leadership (SITLEAD II) facilitator. Mark is based in Melbourne, Florida.